The mature fruit of annual herbaceous plant Kochia scoparia (L.) Schrad. of family Chenopodiaceae. Collected in autumn when fruit is ripe. Green, full without leaves or other impurity. Bitter, cold; kidney and bladder meridians entered. Clear heat and excrete dampness, dispel wind to alleviate itching. 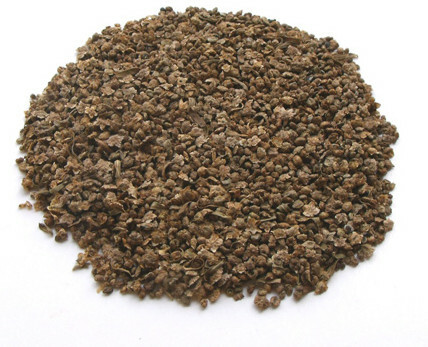 It has the mild actions of clearing heat and excreting dampness to treat stranguria, so for dysuria, dribbling, difficult and painful urination due to damp-heat in bladder, it should be combined with the herbs of clearing heat to treat stranguria, For instance, it is combined with Mu Tong, Qu Mai and Dong Kui Zi in Di Fu Zi Tang from Ji Sheng Fang. For damp-heat leucorrhea, it is usually combined with Huang Bai, Cang Zhu and Che Qian Zi to strengthen the actions of clearing heat and removing dampness. It has the actions of clearing heat, excreting dampness and dispelling wind. It can dispel wind, clear retained heat and remove dampness from skin, so it is good at alleviating itching and is the essential herb for dermatosis. For eczema and rubella due to heat-damp accumulated in skin, it is usually combined with Bai Xian Pi, She Chuang Zi, Chan Tui and Huang Bai to strengthen the actions of dispelling dampness and alleviating itching. For damp-heat accumulated in lower-energizer manifested as vulvae itching, it can be decocted with Ku Shen, Long Dan Cao, and Bai Fan for external washing. 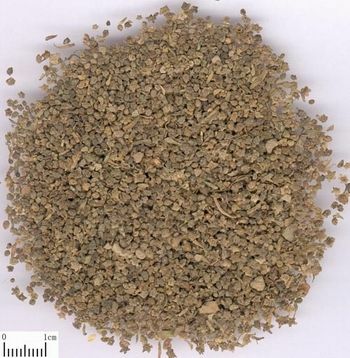 Decoct 9～15 g. Proper dosage is for external application.